Do you want to grow your Facebook page? Do you feel like no one sees your posts? 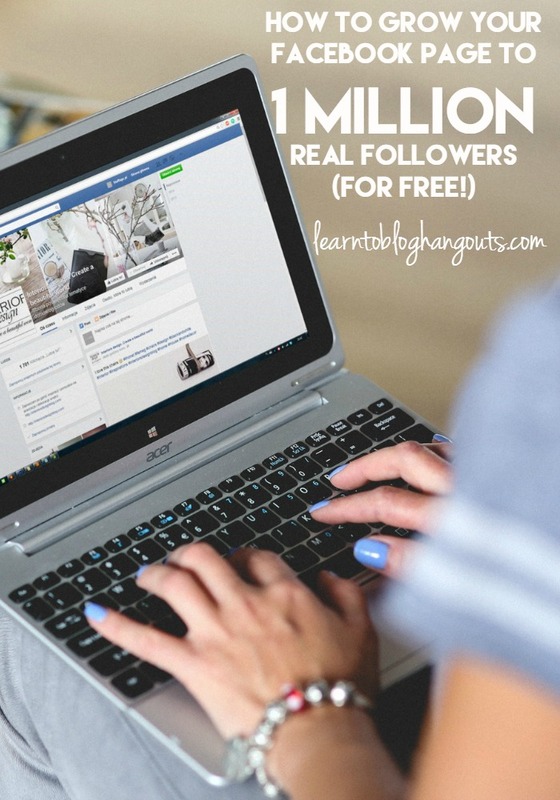 Learn the exact steps this blogger took to grow her Facebook page to one million real (and unpaid) followers. Kid Blogger Holly Homer has grown their blog’s Facebook page from 13,000 followers to 1 MILLION followers. She did this in one years’ time. (One year and three days to be exact.) When she shares other bloggers’ content on her Facebook page, she is known to crash a few servers with the instant traffic she sends. Brands sell out of the products she promotes on Facebook. There is a team of three people who work on their Facebook page. She is joining Crystal VanTassel and Kelli Miller as she shares her tips with us and how to create a sharing schedule of your very own. YOU CAN DO THIS TOO! We are getting answers to your questions! 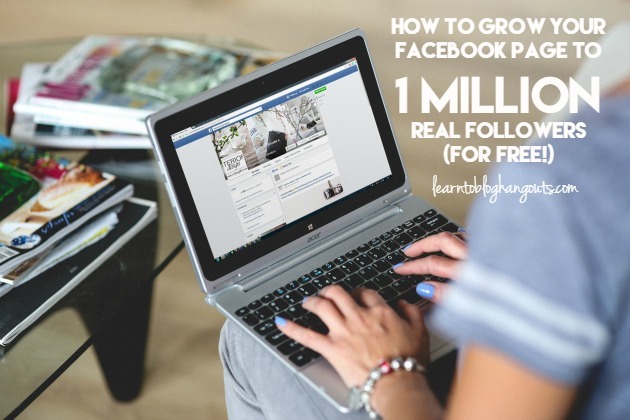 What Are the Myths & Truths About Growing a Facebook Page? You can’t grow your Facebook page without ads. 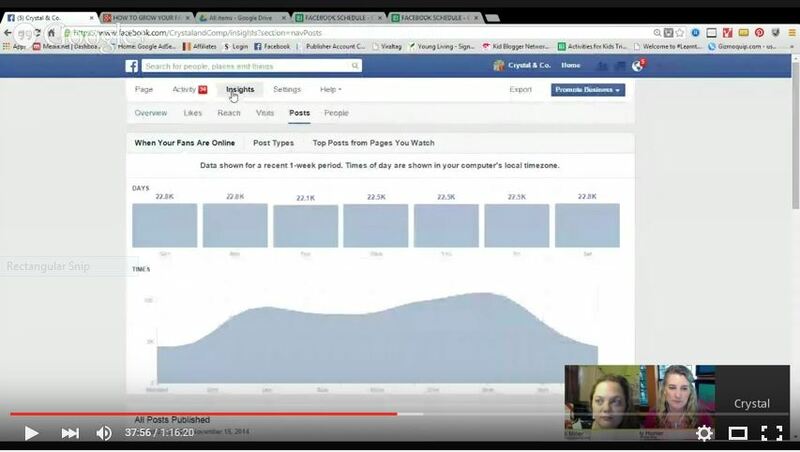 You can’t grow your Facebook page without buying and paying. What is the game changer? Momentum. Remember why people are on Facebook – to interact, to interact with their friends and things they like. Share things. Where does that fit with you? What advice would you give to the blogger who has 5,000 fans on Facebook who has tried ads and that really didn’t work? And they’ve tried other things. Stop thinking about it as a broadcasting channel. Start thinking about how to engage your audience. Recognize that your Facebook audience may be different than your blog audience. They may not even know you have a blog. That’s ok! There are different communities. Remember that many of your fans may have been acquired through giveaway entries or they clicked on a Like ad. They may not you or your content. First goal is to irritate people that are not going to interact with you and your content. Shake the page up to allow for growth potential. You do not want anyone to like your page who is not going to be an active participant. You need a percentage of the fans to interact immediately which allows your post to grow and grow and grow. It will be seen my more and more people. Talking about number – actively talking about your page today. Start posting more often to annoy those who really don’t want to hear from you, so they will unlike your page. Start to attract the people who are. You will lose fans (who aren’t really your fans) before you gain fans (who will engage with you). Don’t look at it like a loss. You really have nothing to lose. Yes, it’s cool to say I have a million fans, but that’s not really my reach. My reach is the number of people who are interacting with my page at any given time. It’s the average from the last 7 days. Look at your talking about numbers. Click on the number of fans you have and you will see a different screen that shows the number of people talking about (and engaging with) the page. Likes are not the end all and be all. Look at it like a game of numbers and figure out how to play. What Do I Need to Know Once My Page Starts to Grow? Holly’s advice – don’t get involved in the pileup. 95% of the comments will be just back and forth differences of opinion. 5% of the comments are really evil and will be deleted, banned, and blocked. Be prepared to get emails from those people wanting to know why their opinions aren’t being shown. Kids Activities Blog started out with 13,000 fans in mid-November and set out to increase that to 50,000 by Christmas. What about when people hide a post, hide all of my posts, or unlike my post? You can see how many people clicked on a link, shared the post, liked the post, hid the post, hid you altogether, and unliked your page. Don’t worry about that! KAB gets over 300 unlikes a day. If they hide your posts or unlike your page, that’s a good thing. You’re getting rid of people who aren’t engaging your page. Don’t even look at them because they don’t matter. It weeds them out. What if someone says I post too much? Respond, “yes, we do!” Send them information on how to unlike your page. Once your page reaches a certain size, the negative comments will start coming in. How Do I Know Which Strategies Will Work in Growing My Facebook Fans? Insights – Facebook is telling you what to do and what not to do. If something does well, do it again. If it does poorly, don’t do it again, unless you tweak it. Tweak it and try it again. You will come up with things that work for your readers. Should I Do Group Facebook Follows? If you will be interacting and sharing from other bloggers, yes. Don’t do the big groups, I’ll follow 500 people and they will follow me. They will not bring much value. Figure out what is doable and sustainable. Shake up what you’re doing in order to lead to growth. Example: You have your RSS feed posting to Facebook once a day and you’re manually just posting your post from today to Facebook. Nothing else. You have 5,000 fans. Increase your posting frequency. This gives you more “entries into the lottery.” Every post only goes to a fraction of your followers. In order to reach all of them, you will need to post more often. Example: Start posting three times a day. Stop the auto post from your RSS feed to Facebook. Create a post starting with the upload of a photo from the blog post, a link, the post’s title, and a description. Or, post it as a link. The photo will auto-populate 560×292. The Yoast SEO plugin, click on social tab, add Facebook photo to autopopulate for anyone who shares this post. Increase by 2 or 3 posts a day. Kids Activities Blog posts 26 times a day. What Times Should I Post on Facebook? Check Insights for when your followers are online. See the peaks when the most users are online. Pick 2 or 3 of those. Example: 6am, 1pm, and 9pm. Don’t use third party schedulers. 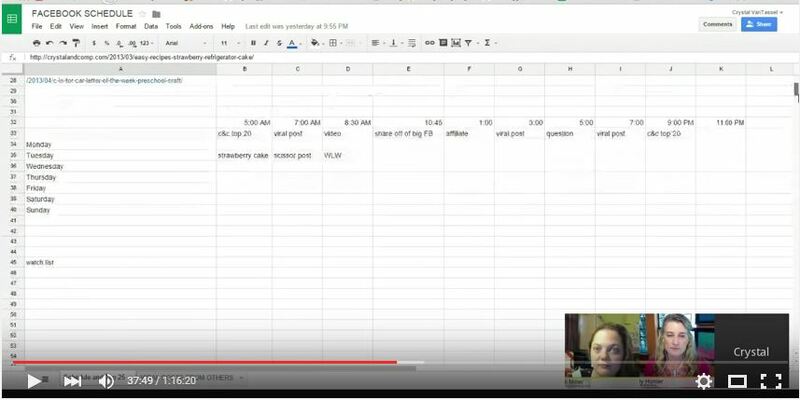 Using Facebook to schedule your post requires you to be in your Facebook page seeing analytics, etc. In Kelli’s experience, Post Planner – worked well, then stopped; Hootsuite didn’t reach many people; Edgar worked okay, but was more expensive than she wanted; Buffer – worked well, then stopped. Start with your core content. What has been popular? Find similar things that are on others’ pages. You have to fall in love with your Facebook page, just like you have with your blog. This is an extension of your blog. 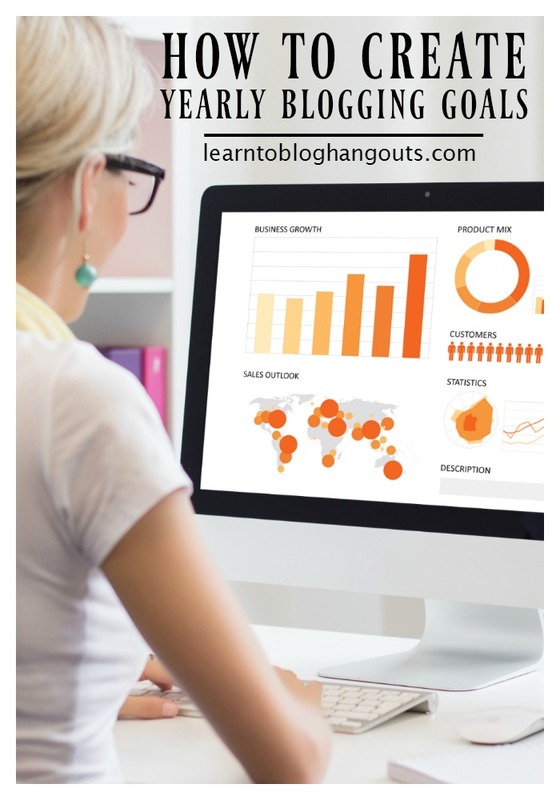 Study what’s working on other successful Facebook pages in your niche. Whose content are they sharing? Facebook wants things to be viral. 2. Viral potential post (a friend, a popular site, something you saw on Facebook that’s been shared a lot, etc.) giving credit to the site. Find something that is in your niche that has done well on Pinterest and give it a try on your Facebook page. 3. Something to increase page engagement and be a page builder. (a question – readers comment and sometimes argue. Many people are engaging and are seeing it.) You can also use an infographic or funny picture if it will get comments and shares. This doesn’t need a link. If you’re posting 6 times (or more) each day, repeat the cycle. What percentage of likes is good for your “talking about” numbers? Look at the trend. If it’s only 2% this week, but 5% next week, you’re growing. Then, it increases to 10%, then 100% on a viral post. It’s closely tied to your growth ratio. Just look for growth and pay attention to work. Identify the 30 best posts that have done well on Facebook and Pinterest in the last year. You could even create a spreadsheet. Schedule those in the 6am slot. You know they’re popular and people will click on them. This shows people what your content is all about. When you have a post that does REALLY well and is evergreen, you could theoretically schedule that to your page once every 3 weeks! Not just the new posts until you gain momentum on Facebook. Commit to using this process for 6 weeks. The first 2 weeks will be rough, because your reach will go down (while Facebook’s algorithm is getting used to your changes) before it increases. You can’t turn around your Facebook page overnight. You may even want to consider just planning/scheduling your content for 2 weeks and not even looking at the insights until you can build your new baseline. Then, review your insights to see what’s working and what’s not in order to tweak your content. Schedule more of what works and stop doing what’s not. Kids Activities Blog committed to this process for a year. They only missed 10 posts out of a full year. You want to train your followers to click. For example, if you post a beautiful photo, it still needs to have a link. They need to expect to click on something, which will eventually be clicking over to your blog. Share a photo that entices people to click through to see the recipe, completed craft, the cure, etc. If you give it all away in the photo, what reason do they have to click? Don’t attract an audience that won’t like your blog content. The end goal is that the audiences are one and the same. What is Your Facebook Page’s Goal? Drive traffic to your site? Then, you want to give people a reason to click over. Get exposure for your page? If you are looking for shares, show the photo that people would want to share. Your goals will change over time as you grow. If you wanted clicks, you might show the first few steps of a process or the ingredients/supplies, then the reader would need to click over to get the full recipe/instructions. Or, show the gorgeous photo (of the end result) that would get shared. You could do both over time. To get more exposure/reach, share from a larger page (with good talking about numbers). It shows the page is active. Find pages like that in your niche to share from regularly. In the kids’ activities realm, that might be Kids Activities Blog, Happy Hooligans, Red Ted Art, Teach Preschool. Share something that is popular on their site and/or that you like from their page to your page. Videos do really well. They will get more reach. Click the share button on their post. 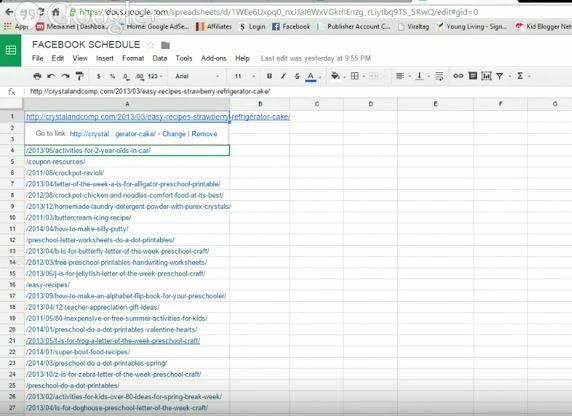 Schedule the share, grab the url of the photo and schedule it onto your page. This is great if you’re trying to get more exposure. If you are looking for interaction, this won’t work because the talking about numbers will be attributed to the larger page. It’s ok to do this once a day if you’re posting 3 times a day or doing this 2 times a day when you’re posting 6-10 times a day. 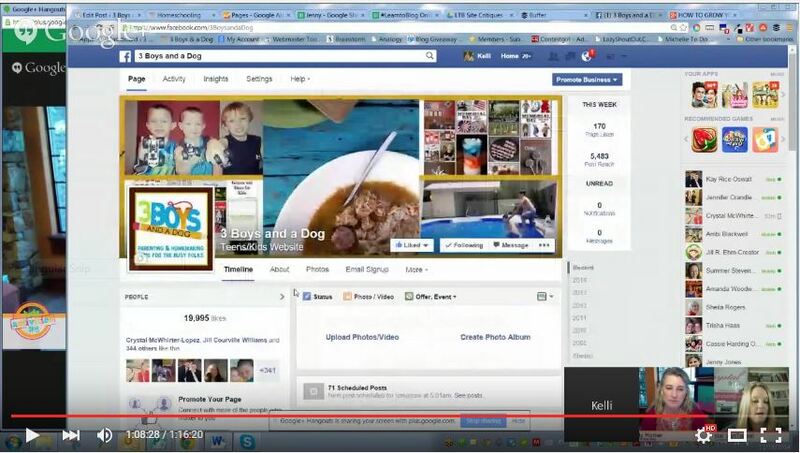 You could create a short video that acts as a trailer/preview to your post, upload it directly into Facebook, and post it on your page. Create it on your phone. It can be short like a video you would share on Instagram. Link to your craft, recipe, etc. If you have a video that you have created or a sponsor has sent, upload the video to Facebook. Have someone send it to you via DropBox. This will get way more reach than just posting a link to the post. You could do this to some of your content to help it get more reach. How Do I Know When to Add More Time Slots to My Facebook Schedule? Once you’ve established your new normal (6 weeks at your current schedule), you can add one post each week until you feel you are maxed out. Just be intentional in everything you do. Think about your goals and make sure your actions match up. The page is never all about you, nor is it all about someone else. It’s all about the fans from day one. You are only posting content that your fans like and will engage with. You’ll find what they like based on their actions. Attract people who love you or hate you. 1. If you run across something and think, “crap, I wish I would have written that,” that’s perfect for your page. It fits your blog, your audience, etc., it’s great. 2. If it’s an area where your content is weak or it’s something you personally would search for (example: Kids Activities Blog doesn’t have a lot of recipes and it’s something Holly searches for personally). Choose the content wisely. It does matter. Why Shouldn’t You Share Your New Posts? New posts are not going to get you the attention you need to build your Facebook page. Your primary goal in the beginning is to build your Facebook page. When Can I Start to Share My New Posts? When your goal changes. Your initial goal is to gain exposure for your Facebook page. When you feel that your Facebook page is at a good level/size platform and your goal changes to sending traffic to your blog. Change your strategy up a little. Add one more time slot to your Facebook posting schedule and add a new post in. Or, if you have something that does really well on Pinterest, share it on your Facebook page. While logged in to your Facebook page, click on Insights. Scroll down to Pages to Watch. When you click on the page’s name, you will see their top posts from the past week. Be consistent. Have reasonable expectations of what you can handle. Under-commit and then grow. Don’t start off big and have to slack off. Teach your followers to click.